An old man and a woman reporter sat in an A.B.C. tea shop in London, and had conversations about recent murder cases while he drank his milk and she drank her tea. The woman reporter would record these conversations, and they would be the first descriptions of a detective who solved crimes by using logic alone, and who saw little reason to investigate the scene of the crime and to collect clues. He says "There is no such thing as a mystery in connection with any crime, provided intelligence is brought to bear upon its investigation". The old man was pale, thin, with light colored hair combed over his bald spot. He constantly played with a piece of string and tied and untied complicated knots in it while he described the murder that he had solved. He did attend trials and these and newspaper accounts seem to be his primary source of information. He had a profound distrust of the ability of the police to solve anything. He believed that people failed to observe, and failed to think about what they did observe. Most of his solutions seem to be based on the idea that once an explanation of the cause of the crime was made by the police or by the court, they failed to consider that another interpretation of the facts could be made. Most of the cases deal with middle class members of British society who have enough money to make significant bequests in their wills or to keep cash on hand. Frequently family disputes are found to lead up to the murder. Baroness Orczy is best know for her novel The Scarlet Pimpernel which was published in 1905. The first Old Man in the Corner story was published in The Royal Magazine in 1901. This was followed by five other stories. In the last of these, "A Death in Percy Street" she revealed the identity of the Old Man and ended the series. The stories were so popular that, like Sherlock Holmes, the Old Man was revived and continued with his stories and two more series of stories were published. Baroness Orczy had two other detectives. She published Lady Molly of Scotland Yard in 1920. This book described the investigations of a female detective associated with Scotland Yard. She published Skin o' My Tooth in 1928 which narrates the adventures of an Irish lawer. I would like to note that the murder in "The Tremarn Case" bears a striking similarity to the murder in The Mystery of the Hansom Cab by Fergus Hume which was published in 1886. These stories are available in e-book form. I have read the paper Dover edition which has an introduction by E. F. Bleiler. 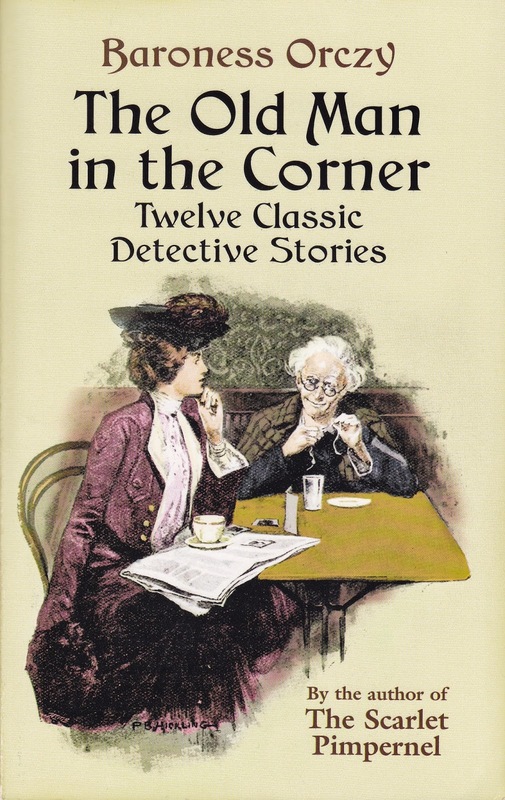 The subtitle of this book is "Twelve Classic Detective Stories" I see that there is an e-book edition available which has an introduction by Otto Penzler. 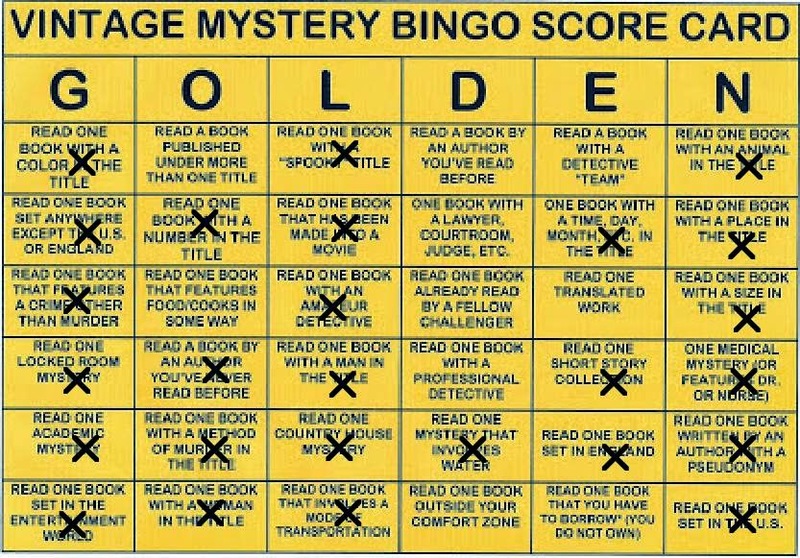 I have read this book for the 2014 Vintage Mystery Challenge Bingo in the category of a short story collection. I'm currently reading The Scarlet Pimpernel and have read a few of the Old Man in the Corner stories (in various anthologies). I have yet to sit down and read the full collection--but want to do so one of these days.